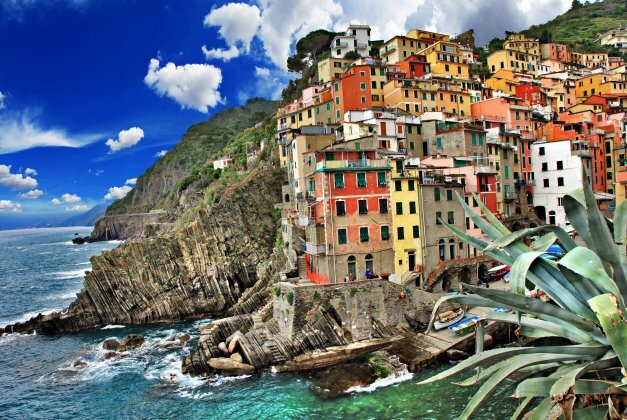 The Cinque Terre is a fabulous stretch of coast, very rugged of Liguria, near La Spezia. For the characteristics of the territory of the Cinque Terre areo one of the main tourist destinations in Liguria. Monterosso is the most western village of the Cinque Terre and is the most populous . 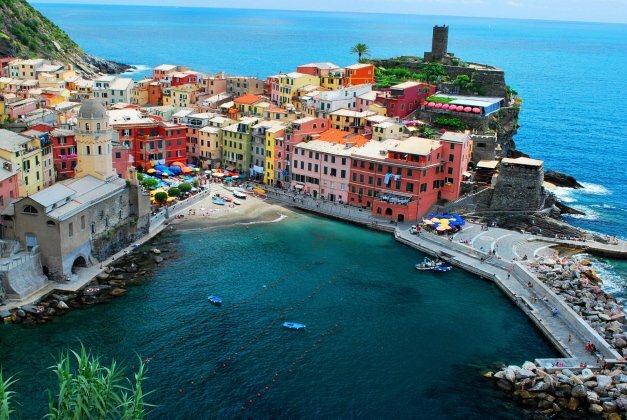 Monterosso is located at the center of a small natural gulf , protected by an artificial reef . Compared to the other fishing villages of the Cinque Terre , Monterosso are the longest beaches , for the breadth of the gulf which extends its territory. This village is situated on a small promontory that enters the sea , its name is believed to be linked to the famous local product : the wine ” Vernaccia ” . Its small harbor provides a safe harbor , even at the time of the Maritime Republics , very quaint and charming and is considered one of the most beautiful villages of Italy. This village is located in a central position with respect to the other villages of the Cinque Terre , is characterized in that it is the only village in the Cinque Terre that is not located directly on the beach , but it is located on top of a promontory about 100 meters high . Very characteristic is the staircase consists of 382 steps , called ” Lardarina ” that leads to Corniglia. Manarola is born from the settlement of populations that moved towards the sea to exploit its resources . After Corniglia is the smallest village, stands on a promontory high above the sea and grows in the gorge that leads down to the sea. The dwelling are one above the other. This village is situated to the east of the other , its historic center is the XIII century , and is located in the valley of the river Rio Maggiore. Above the valley of the Rio Maggiore is Mount Verugola whose three peaks , depicted in the emblem of the city , have always been the symbol of the village.